We’re pleased to share the story of a customer who has a unique talent. 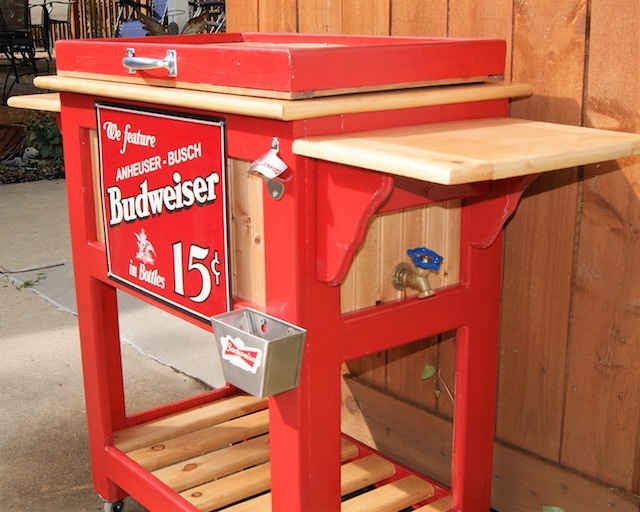 Jeff Peck has a knack for building custom wooden cooler carts with a gorgeous retro look. 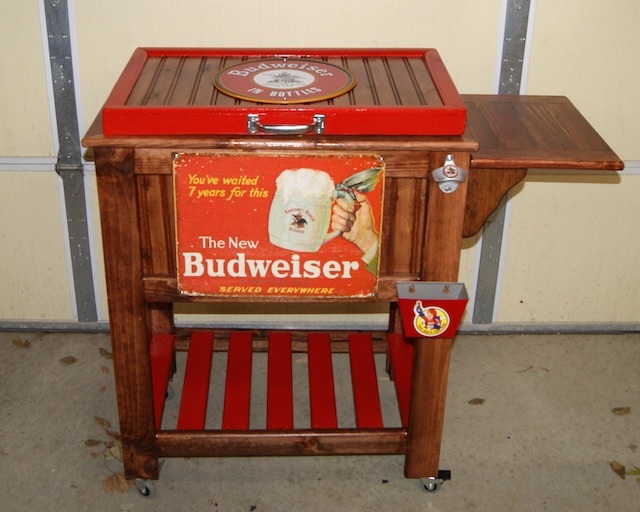 We wanted to share these special coolers with you as well as the story behind why Jeff makes them. 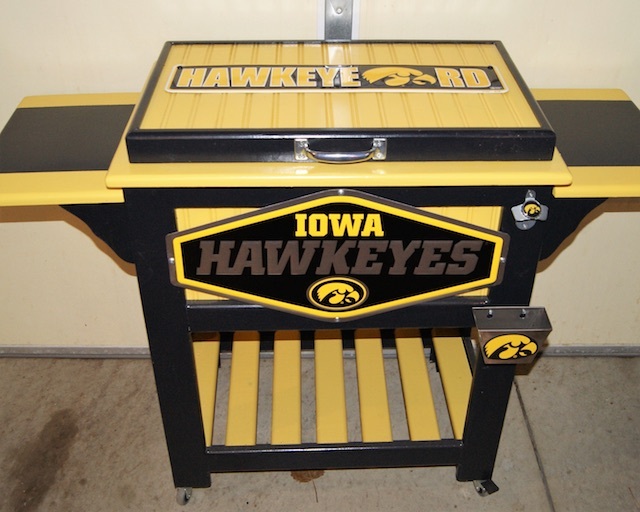 Jeff is from Iowa and builds these beauties to sell and to raise funds for charities and other special causes. 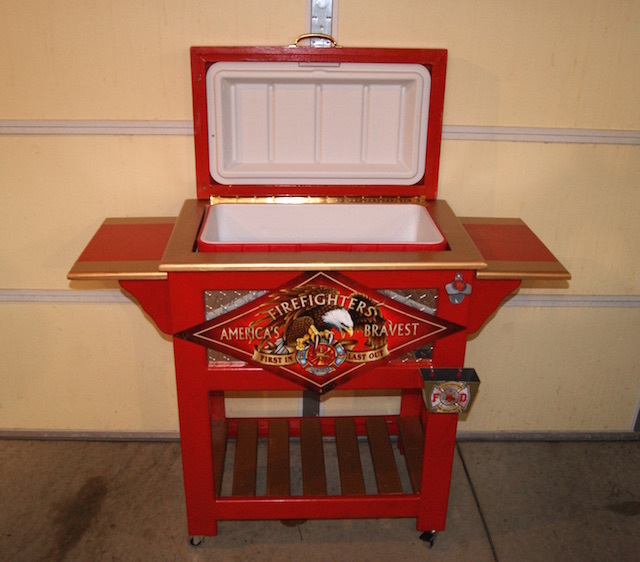 The photos below show two of Jim’s coolers with a fire department theme. 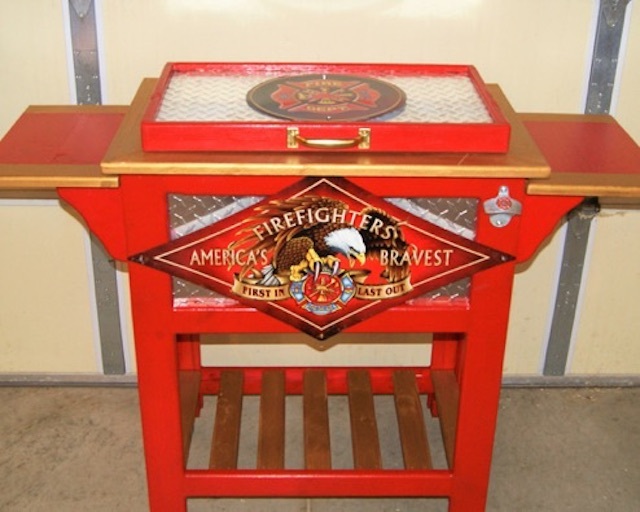 According to Jim, the first “was raffled by the Luana, IA Volunteer Fire Dept. 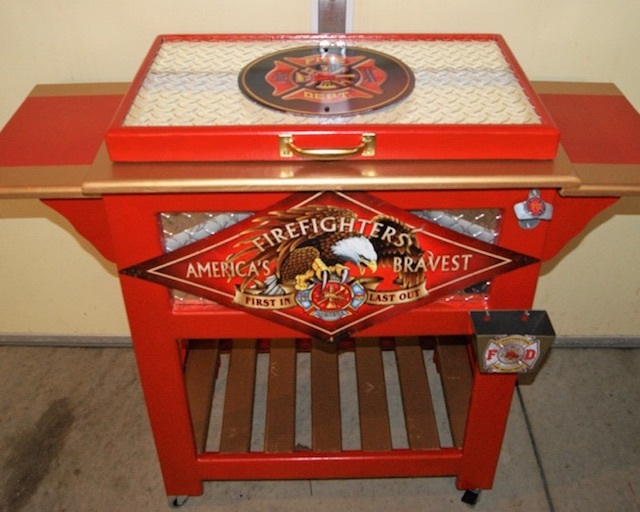 for a new building.” The raffle raised over $2,000 to contribute to the cause. 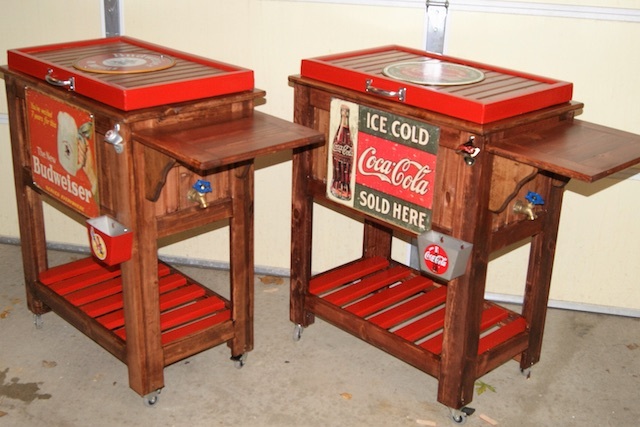 These coolers are very special and we’re very grateful that Jeff was willing to share his photos of these awesome creations. 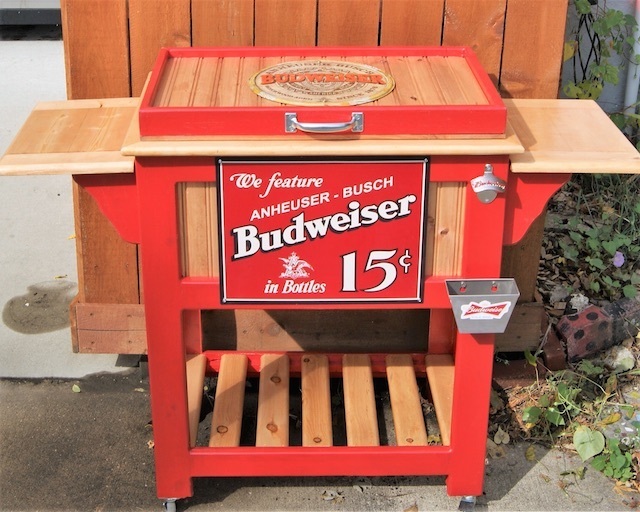 Click on the photos above for links to fire department, Coca-Cola and Budweiser signs like the ones featured on these beer cooler carts.